Today we had the honor of speaking with the students at Simi High School with 300 kids, over two presentations . It’s an honor to be able to make a difference with the summer school students as well as being able to come speak during the regular school year ! The Not One More team was lead by our amazing President Pat Montoyawho shares his life as the parent of an addict. He offers many different perspectives to the students as far as where they are in their academics and how quickly that could change. As well as bullying and peer pressure. Today we had a touching story and poem written by Samantha Rose. She had her dear friend with her who had lost her son Max , who was also a dear friend of Samantha’s . 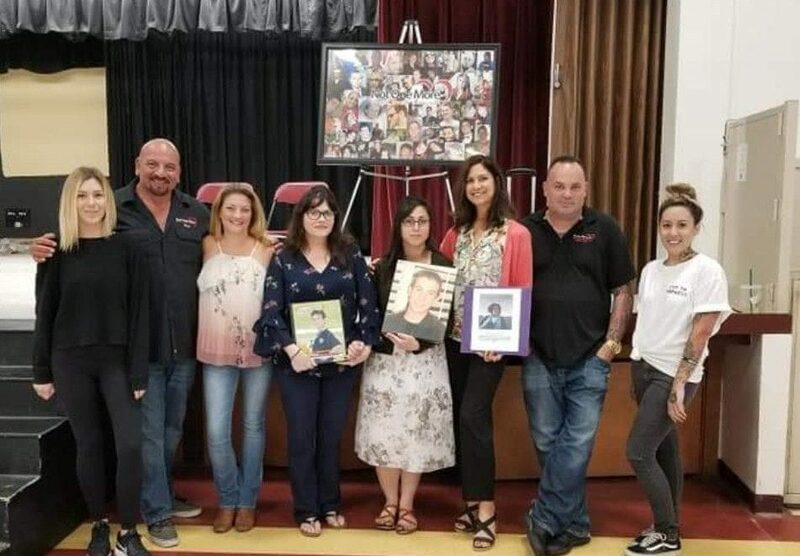 We had our board member John Poleno offer his experience and help as a counselor, ensuring the kids that we at Not One More care about them and want to hear from them if and when they have a time of need. We had our author and board member, Aliza Thomas speak on her experience with recovery and about her book. 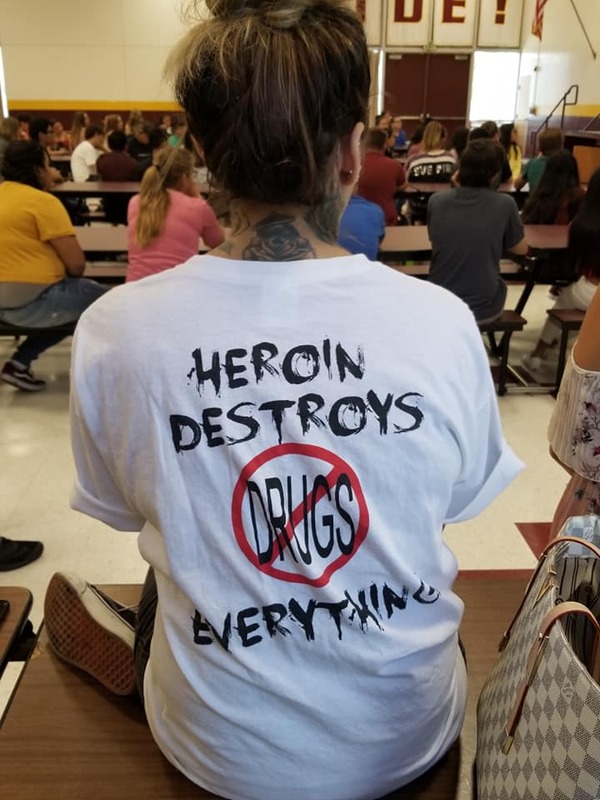 She offered the perspective of the “bad kid,” while Sharee Porter spoke on recovery as well from the aspect of a “good kid.” From honor student, to high school drug dealer both perspectives were paramount for the kids. We had our beloved Darian O’Brienshare the heartbreaking story of losing her son Patrick to heroin overdose at 15. As always she shares her positive perception on moving forward and helping others in a time of despair. A big shout out to these teachers Danielle Reed, Kelly Rossborough Beck , and Krissann Corral for an amazing job of making sure this was possible for the students and so welcoming to the Not One More team ! A special thank you to Trish English for being our set up person and support team today . We can’t do this alone, it takes a village!